If you visit the suburb of Bexley North, you’ll find a supermarket with an identity crisis. 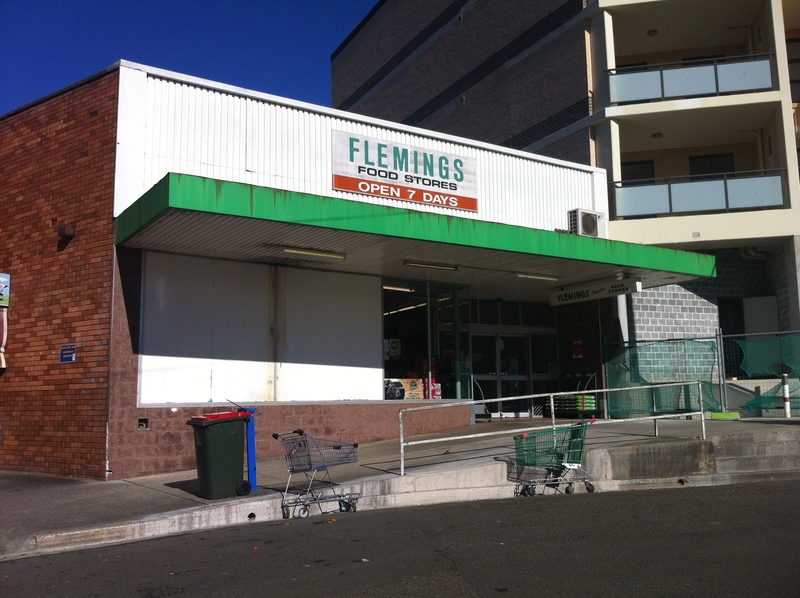 Flemings, or in this case, Flemings Fabulous Food Store, opened as a chain of supermarkets in 1930, but in 1960 sold up to Woolworths. This particular Flemings is one of only two left in New South Wales, the other being in Jannali. Inside, it’s all Woolworths branded, but the name and the building itself (and some of the items on the shelves) are all vintage Flemings. Why Woolies is prolonging the death of this particular Flemings should become obvious when you look to the right of the picture. When the new block of units (built on a former petrol station) opens, they’ll want a bigger supermarket, and if Woolworths can buy up the other tiny shops on this strip, expect a big budget overhaul that’ll relegate Flemings to Supermarket Heaven alongside Clancy’s and Jewel. Nothing like a bit of competition. I’m doing a short article on the history of ‘Flemings Food Stores’ in Bexley and was wondering if your Grandfather had any information on the history of this store. Would he be able to give a few opinions? Memories of going there with my nan. Would love to hear an account of your experiences in 1982 for a short article I’m doing for uni. Would you be able to help?